It’s October (someone wake up that guy from Green Day), so I went through my social media feeds and grabbed all the MicroStories I’d tweeted during the month of September. Usually, I only tweet Science Fiction and Fantasy #MicroStories. September was pretty much no exception. Posthumans were perplexed that their plans to conquer humanity would fail & fail fast. The killer hadn’t known that she’d been running her Lifetm app, & she had 40K subscribers who would be howling for his blood. Every hero was the villain of someone else’s story. Everyone claimed that The Guy was on their team. The gem was guarded either by monsters or former treasure hunters. That detail was of more importance to me than my employer. It was an old spaceship. Reliably old, having been built when spaceships were built to last. It had an old bomb. Reliably old. The scarecrow had been missing from the north field for days, & the town hoped it had wandered to the graveyard with the others. This app says you are! – What? Are you hacking my bio-sensors? The “routine” crew would have to handle this dire situation; the system responsible for waking the emergency crew was also down. The borderland villages were reluctantly abandoned; weeds & trees eventually hid them from sight. Then the ghosts could return. Congress cut funding; there was no rescue attempt. 10 years later they returned. & thought he was dead. The Lords decided that it was better to spend resources on guards than on well-fed peasants. Thanks to everyone, especially to those who tell me that they look forward to my monthly MicroStory collections. It’s all very appreciated. Anyone interested in following me on Twitter (I have no idea why you’d want to, but some people do) you can follow @patman23 . 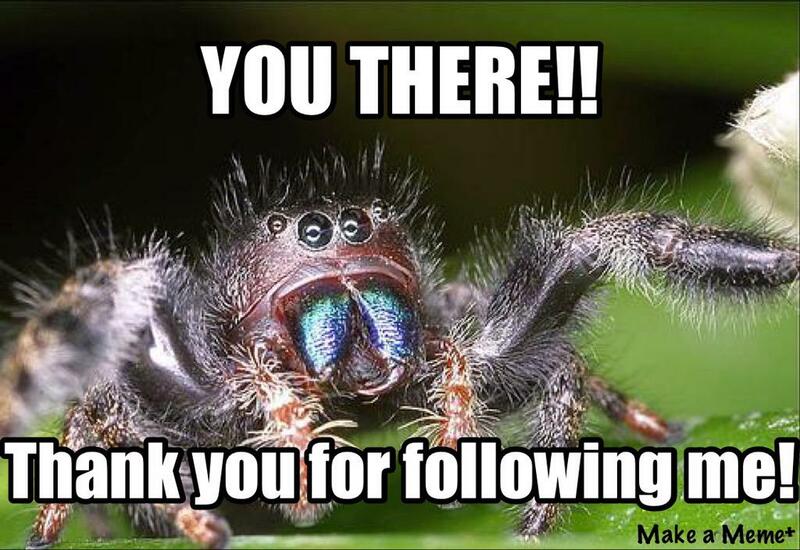 Image of the thanks-for-the-follow-meme spider directly above ended up on my Twitter feed somehow, and I fell in love with it. How could I not? The text, of course, is all mine. Although the story involving NASA is obviously inspired by Andy Weir’s The Martian. THAT is what I keep meaning to do, follow you on Twitter! Duh. I will do that tonight when I get home. Yay! 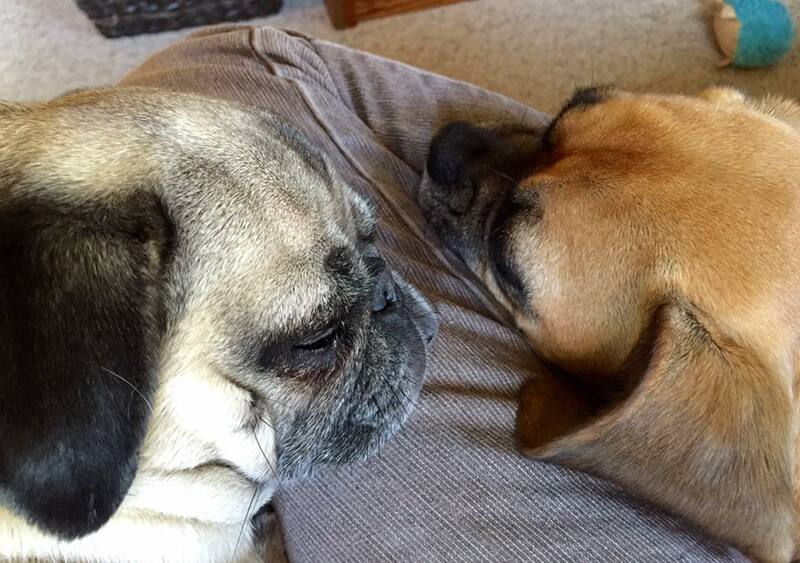 I’ll keep my cute face-hugging spider over here, and not send him your way.